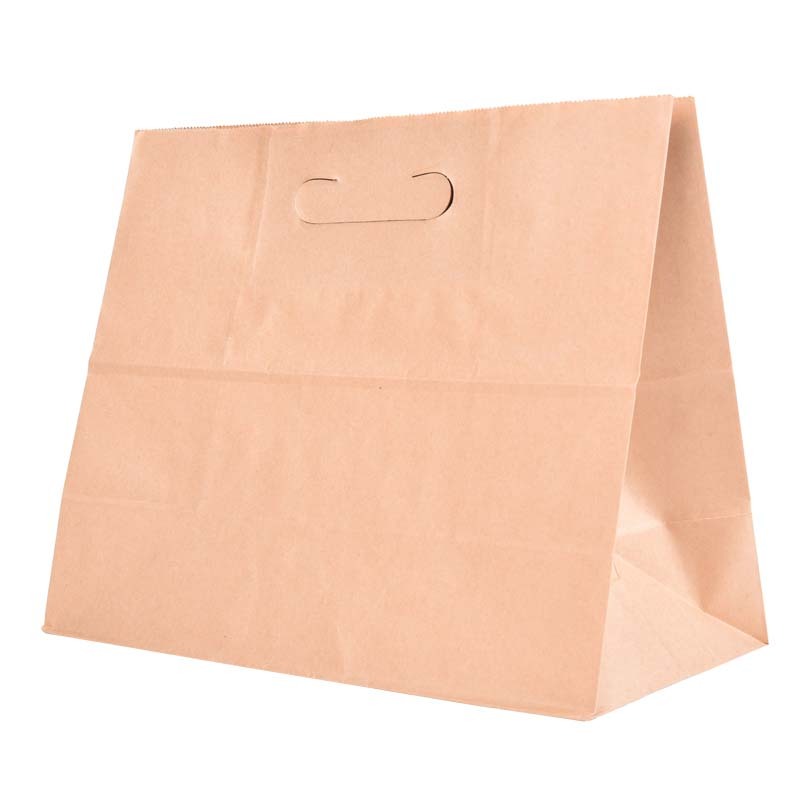 Product categories of Kraft Paper Bag, we are specialized manufacturers from China, Kraft Paper Bag, Brown Kraft Paper Bag suppliers/factory, wholesale high-quality products of Hand-Held Kraft Paper Bags R & D and manufacturing, we have the perfect after-sales service and technical support. Look forward to your cooperation! Kraft paper bags are non-toxic, odorless, and non-polluting. They meet the national environmental protection standards. They have high strength and high environmental protection. They are one of the most popular environmental protection packaging materials in the world. Making kraft paper bags from kraft paper is becoming more and more widely used. Shopping in supermarkets, shopping malls, shoe stores, clothing stores, etc., is generally provided with kraft paper bags, which are convenient for customers to carry purchased items. Kraft paper bags are environmentally friendly packaging bags with a wide variety of products. Because of its environmental characteristics, kraft paper bags have been favored by the public. In particular, almost all European countries use kraft paper bags. Kraft Paper Bag is based on all wood pulp paper. The color is divided into white kraft paper and yellow kraft paper. It can use PP material to coat a layer of film on the paper to make it waterproof. The strength of the bag can be made into one to six layers according to customer's requirements. , printing and bag integration. The opening and closing methods are divided into heat sealing, paper sealing and paste bottoming. The scope of application of kraft paper bags: chemical raw materials, food, pharmaceutical additives, construction materials, supermarket shopping, clothing, etc. are suitable for the industry of kraft Paper Bag packaging.